ATEQ VT65 comprehensive TPMS service tool for industrial - manuals and software. View and download information on how to use the VT65 comprehensive TPMS service tool for industrial. Download the PC software (WebVT) to receive the latest vehicle and sensor updates on the tool. A software license must be purchased to receive the latest vehicle and sensor coverage for the VT65. Once purchased, users can update the tool as many times as desired throughout the year subscription. Software licenses can be purchased through your local ATEQ tool distributor. Is your TPMS diagnostic tool up to date? 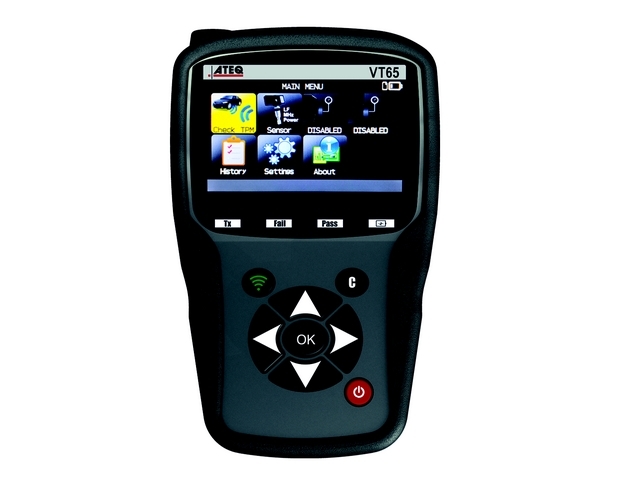 The PC software, WebVT, provides the VT65 with the latest TPMS sensor and vehicle coverage. First, turn the tool on and connect it to the PC. Next, download the software to the PC and follow the instructions to set up WebVT.